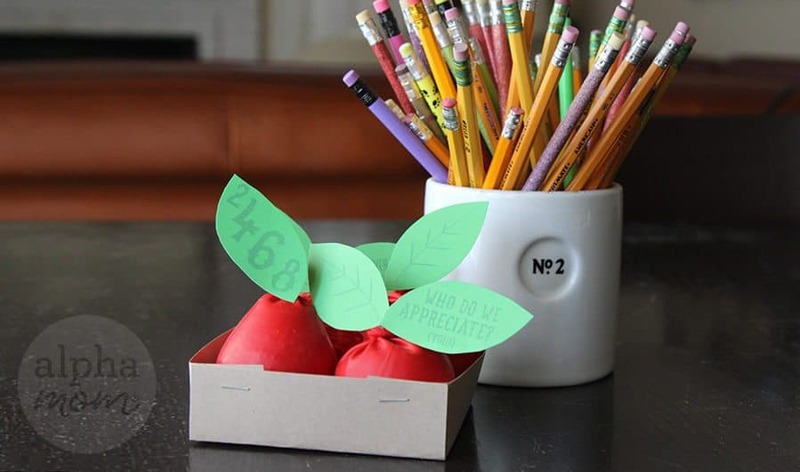 Remember the days when students would bring apples to their teachers to show their appreciation? Of course not, we haven’t done that since the frontier days when students would bring their teachers apples as a form of sustenance but the tradition of apples for teachers has stuck in every other form. Ask any teacher, they’ve got apples on everything from sweatshirts to coffee cups! 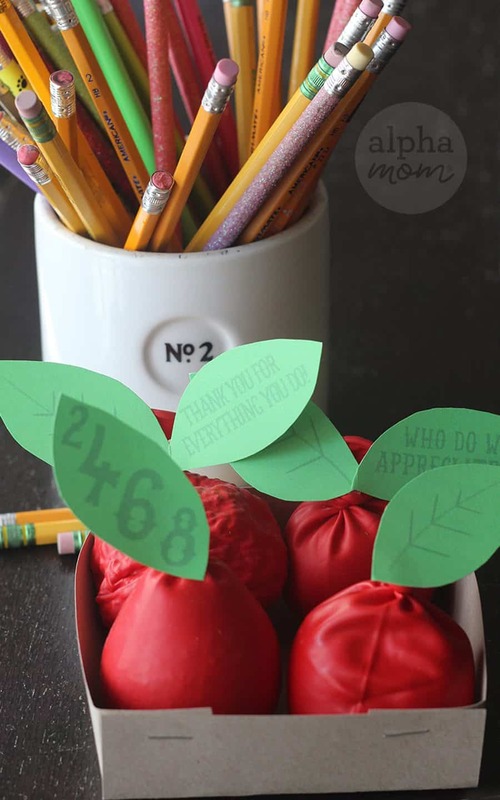 As a teacher appreciation gift and keeping with that tradition we thought we’d make some apples that teacher could really use in the form of squeezable stress-relieving balls. They aren’t iPads but they will probably be used every day! First we stretched the balloons to make sure they were soft and pliable. Then we fit the opening of the balloon around the small end of the funnel. Carefully we spooned whichever dry ingredient we chose into the balloon. 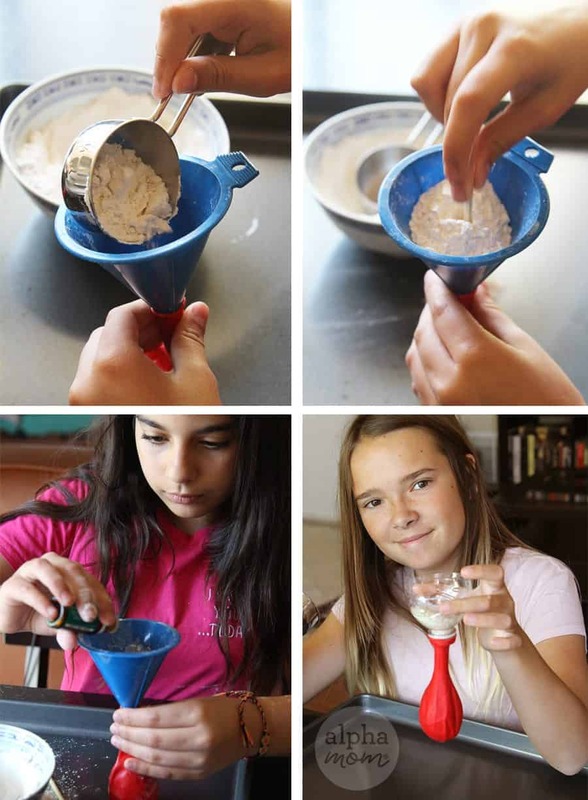 If the powder or rice gets stuck in the funnel just gently wiggle a straw or stick to loosen up the bottle neck and keep filling. 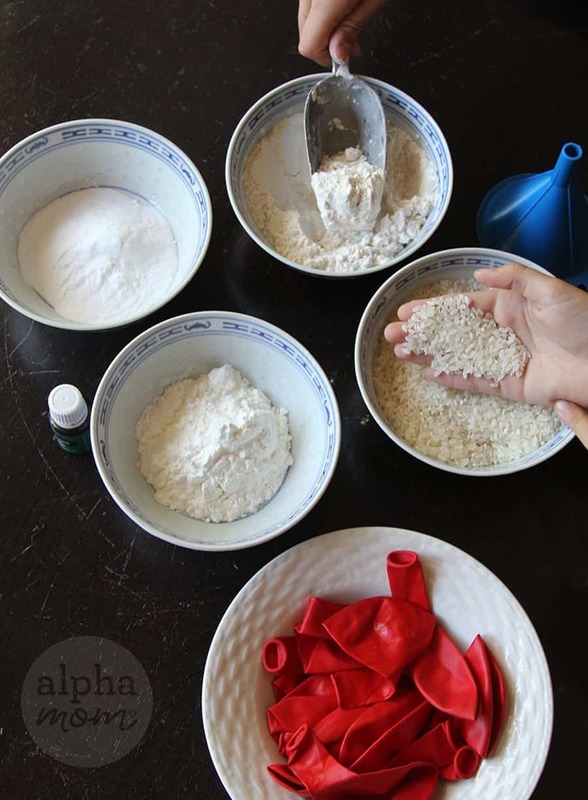 If you’d like to add some aroma therapy to your stress ball, just add a drop to the dry ingredients as you fill. When the balloon is full make sure all the air is squeezed out and tie the ballon open end in a knot. Now you are ready to attach the leaves. 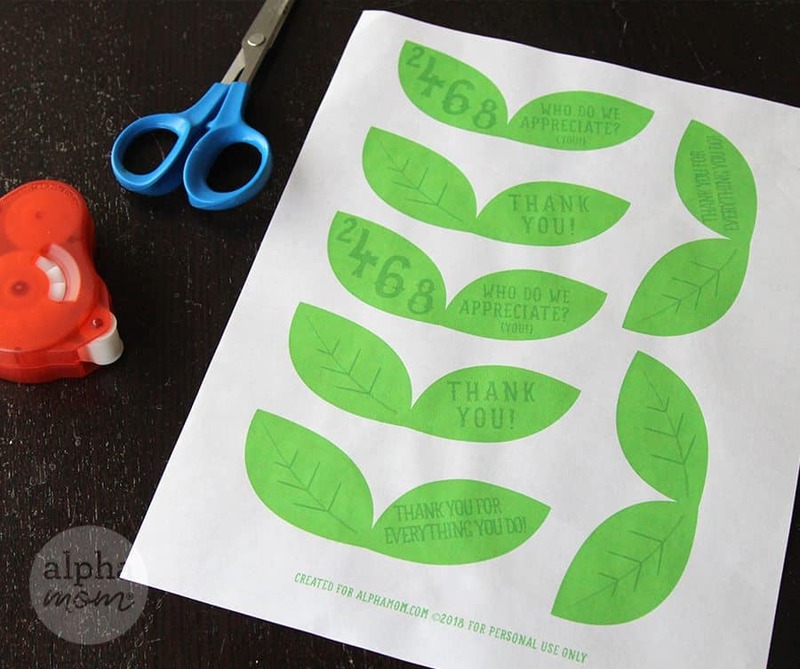 You could just make felt leaves or you can use our printable. Just make sure you print on card stock so they hold up nicely. Click here to print our printable. Cut out the leaves and attach with a glue dot. Use as many as you like. If you don’t want to use the double leaf just cut them apart. Find more Teacher Gift Ideas here. As a teacher, I can also tell you that chocolate and coffee would be greatly appreciated. Yes! We are working on that too. Chocolate and coffee cards. 🙂 Might not make it for this year’s Teacher Appreciation but definitely next year.